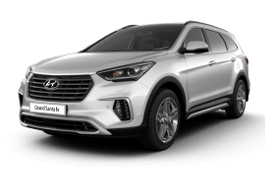 Correct Wheel Sizes, PCD, Offset, Rims and Tire specs for Hyundai Santa Fe series. No, the Santa Fe uses 5x114.3 PCD, the same as Ford, Jeep, most Mitsubishis. Would the rims off a 2009 Santa Fe GLS work on a 2013 Santa Fe Sport 2.0T? 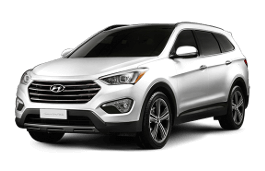 I have a 2014 Hyundai Sante Fe Sport 2.0T AWD with the 17&quot; gunmetal alloys. I was wondering what the bolt pattern is for that particular wheel. I have a new set of stock 18&quot; x 7&quot; alloys from my 2009 Mitsubishi Lancer Ralliart which has a bolt pattern of 5 x 114.3 and I was wondering if they would also fit on my new Sante Fe? Thanks. Hi,John,The pcd is same.But I suggest that you'd better confirm the size firstly. Rims on Hyundai Santa Fe 2008? 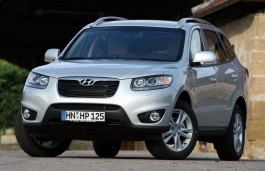 Which 16 inch rims will fit my Santa fe 2008 front wheel drive 3.3 engine? I have a Santa Fe 2013 2.2L CDRi trim. The default tyre size is 235/60/R18 and I want to fix a larger tyre (for slightly better clearance and wider look). Would 255/60/R18 be a good option? How will it affect the performance and cornering, turn radius etc.? Also if not, please suggest a better tyre size. I have a 2015 Hyundai Santa Fe XL. Will these fit into it? 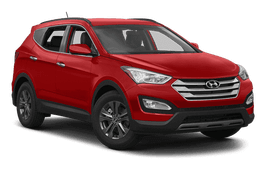 I have a 2015 Hyundai Santa Fe Sport 2.4 AWD. I was wondering if a set of 16 inch winter tires on steel rims would fit, in my possession at the moment I have a set of 215 70 R16 with extremely low mileage. Hi,Mick,Yes,the tire can fit for.But i am not sure rims too. Hi, Joe,no,245/75/16 can not fit for your car.try245/70/16. Will 255/70R16 tires work on my 2007 Hundai Santa Fe? Hi. For 2013 Santa Fe, is 225/65/17 too narrow? Thanks. I have a 2013 Santa Fe. The original tires are getting worn so I was going to put a set of snows on it using the original rims. I've been looking for a nice set of rims to put on in the summer and found a set of 19" rims off a Dodge Caliber SRT4. I've been told they will fit. Will they? And any suggestions for snows? I have a 2016 Santa Fe Sport 2.0T Limited with 19" wheels and have an opportunity to buy 18" wheels that came off a 2015 Santa Fe (not the Sport). The wheel spec as I know it is Bolt Pattern 5 x 114.3, 18 x 7 inch, offset 49.5. Will they fit my Santa Fe Sport? Hi,gord.Do you know your sport car wheel offset?I think the offset from 18'' is bigger. Hi, I have a 2014 santa fe sport 2.0t awd and I'm looking into aftermarket wheels. One option is to stay with 19's so I can use my current tires. The wheels I'm looking at are 19x8.5 32et, but they are offered in 32,38,45 offsets. The other option is to go with the same wheels in 20x8.5, depending on offset. which currently has summer tire+rims P235/65r 17. The bolt pattern appears to be the same. Is this safe and will this work? Hi,Fred,no,it can not fit for your 2012 Sante Fe .Try255/65/16. What is the minimum size of tires can I use for my car in snow winter please? Hi, Omar,Can you show me your current wheel size? Hi, I own an Grand Santa Fe 2.2 CRDI which come fitted with 235/55/19. I intend to purchase 245/45/20, offset 35 to 45. Should it fit? Hi, Florin GINDAC,yes,it can fit for your car. I decided to aquire an wheels/tyre package. Bola XTR, 20', 8.5J, offset 40. Tyre packages are 245/45/20 and 255/45/20. Can both of them fit my car? Hi,Rod,According to my data.The OEM wheel size for 2015 sante fe is 18'',bolt pattern is 5*115.I do not suggest that you lower down the wheels.If possible,you'd better change bigger size. Will 235/75r16's fit on a 2008 hyundai santa fe? I am looking for the largest possible diameter 16 inch tires for winter clearance. Hi,Zoran,For your car,you can try 245/70/16. Hi, Koto,the Max tire size for OEM tire is 225/60/16. I have a 2007 Hyundai Santa Fe with 235/70R16 wheels. Would the wheels off of a 2004 Santa Fe fit? They are 16" as well, but not sure if they are the same width. I think they are 6.5" as opposed to the 7" I have on mine. Would that make a big difference? Hello, the wheels from 2004 Hyundai Santa Fe fit to the 2007 Hyundai Santa Fe, 6.5" rim width on 2004 and 7" on 2007 is not make a big difference. I have a 2011/2012 Santa fe (2.2crdi) it has 235-60-18 and was wondering if a set of 16" would fit with winter tyres (235-70-16) would that work? Would 16" rims clear the brake discs etc? Hi,Guy,The stock rims for your car is 17'',I think 16'' is little for your car.But if you really would,yes,you can take it.For the brake matter,It depend on the wheel offset,Can you show to me? Hi there, I have a 2009 Hyundai Santa Fe 2.2L Diesel and looking to put nicer rims on it - can you suggest other car models that have the same stud pattern 5 x 114.3? Will 235/70/16 tires fit a 2003 Hyundai Santa fe? I have a 2007 Santa Fe c/w 18" rims. They have an offset of 41mm. 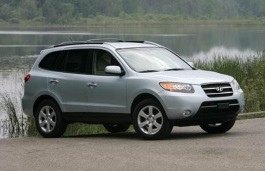 2010 Outlander is same except has an offset of 38mm. Would these work? hi, i have a 2012 v6 santa fe, i would like to know if 225 / 55r 19 would fit on. I have a 2013 Santa Fe SE 2.0T with tire size of 235/55R19. Will my tires/rims from my 2012 Hyundia Sonato Hybrib Premium 215/55R17 fit my new car? Hi,Vanessa,No,the tires are not compatible. Hi,Doug,The offset for Territory is 45mm and 41mm for santa-fe,the centre bore is also ok. I have a 2013 Santa Fe AWD with Continental 235/55R19 All Season tires on it. I also have a set of Michelin Alpin winter tires size 235/55R17, not on time. Can I use the winter tires on the Santa Fe this winter? 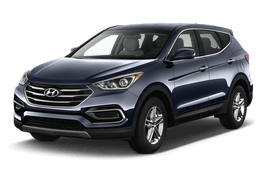 I have a 2015 Santa Fe Sport AWD and want to know if i can put the 19" rims off a 2010 Hyundai Genesis on the Santa Fe. They are the 19" track wheels are 19x8 and 19x8.5. and If so, what would be the best/widest tires I could put on them to make them even. Thanks in advance. Hi,Dave,you can use 19'' Genesis alloy wheels for your car.For the tire size,Can you show me your Current Santa Fe tire size?I can help you confirm the new one. The size i have for tires is p235/65R17 on the santa fe. I was hoping to go a little bit wide on the tire for that sportier look. Not sure if i would need to raise or lower it or how to accomplish that either, Any suggestions? Hi,Dave,If you want tire looks more sport,You can use widder rims and low profile tires. I have a 2014 Hyundai Premium 2.4 and the rims specs is 7Jx17 et47 (ET35-50) is this means that I can use other rims(17") with offset ranging 35mm-50mm thanks..im planning to buy a spare tire but the offset is 45mm and mine is 47..
Hi,For ET 35-50,May i know where you get it from .Does it comes from The Hyundai Service book,Or?Normally,If you wheel offset is 47mm,You can try other rims with offset ranging from 42-52mm. I have a 2016 Santa fe sport 2.0T with 235/55/19 summers. Will 16 "wheels from a 2012 santa fe clear with 235/70/16. I know the tire size will fit, but just wondering about rim clearance and offset. Hi,Savage420,You are right,the tire size is ok.For the rim clearance and offset,you need to show the 16'' rims offset. John, I guess the backspacing is negative 40. Hi,Savage420,Are you sure the backspacing is -40?,It is different from offset and backspacing.Normally,Backspacing is bigger than offset.So,You'd better cofirm the offset,You can find it in the back of wheel spokes. Hi,Antwan,235/65/16 is compatible for your car. I have a 2016 Santa Fe 2T, with 235/55/19 tires, will 235/70/16 winter tires with alloy rims from a 2011 Santa Fe, 114.3 bolt pattern, 73mm bore, 40mm offset fit? Hi, I have a spare set of 235-70-16 winter tires on steel rims from 2008 Santa Fe. Would it fit my 2014 Santa Fe sport which originally has 235-65-17? Hi,Sumit Narula,Yes,it can fit for. I have a 2008 Hyundai Santa Fe GL with the standard 235/70R16 alloy wheels. I want to upgrade to Hyundai 235/55R19. (I understand there will be a slight speedometer recalibration required.) But... what would be the proper spare tire and wheel that will fit into the 2008 Hyundai's spare tire storage cavity? Hi, I have a 2010 Hyundai Santa Fe Sport, with standard tire size of 235/60R18. Does a winter ire 225/60R18 fit well & not compromise performance? Hi will tires 235/70r16 , bolt pattern 4x114.3 off a Mazda cx7 fit a 2016 Santa Fe? Hi,Donna,No,The bolt pattern for Santa Fe is 5*114.3. Sorry it was bolt pattern 5x114.3 tire size 235/70r16 . So will it fit a 2016 Santa fe. Dealer is saying no but other tire places are saying yes. Why the difference? Hi,Clifford,No,255/70/18 is not compatible for your car. Walmart has a great deal on Antares Ingens A1 235/45R18 98W Tires. 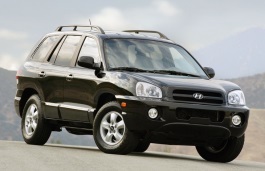 Will that size be OK on a 2009 Hyundai Sante Fe Limited AWD? Will these rims fit my 2010 Santa Fe? These currently have 215 45R 17 tires mounted. Hi,michael albertson,215/45/17 this tire's width is little small,The stock tire for 17*8 is 235/65/17. Hi,Yvonne Jackman,yes,they can fit for. Thanks John. The off set for my old sonata is 35-48 and the santa fe off set is 47 - 49.5 . Does that matter ? Hi, Yvonne Jackman,Normally,The offset accessible error is +-5mm,So,if you old sonata offset is 42-45mm(for example),it can fit for. Hello, would 215/65R16 winter tires with rims fit on my 2008 Hyundai Sante Fe GLS AWD? Thanks. Hi,Peter,What your current tire size? Hello. Will the 235 70R16 tires and rims from a 2008 Sante Fe fit my 2010 Mazda Tribute? I have looked at both and it appears to be a match. I just want to confirm. Hi,Steve Wells,The wheel offset of sante fe is 41-46mm,but Tribute is 37mm,Do not suggest that you use it. I’m looking at some used tires off of a 2009 Ford Escape. Because of the similarities between the Tribute and Escape, would rims/tires from one be appropriate for the other, even though the offset appears to be different? If not, what rims would be acceptable for a 2010 Tribute? Is this compatible? Thanks for advice. Hi,Hung Tran,For your new 19'' rims,The tire width is little small.for 8.5'' or 9.5J',the tire width should be 245mm or 255mm.And the wheel offset 35mm is also too small compared with curent wheel offset 49.5mm. What is the suitable rim can be apply for 19 inches 9.5J? Hi,Hung Tran,you mean suitable rim or suitable tires?Please explain. Hi John, the tire size is 235/55r19 fixed. I want to change to rim 19 inches 9.5J for rear. And 19 inches 8.5J for for front. Does it work together? Because i also seen in other website. For rim 9.5J, we can use tire width from 235-255 without any problem. Hi,Hung Tran,For 9.5J.the suitable tire from 265-285mm.Not 235-255. It have a good stretch of 02 back wheels and very nice look. I dont know how to share pic here. I have a set of winters on steel rims from my old 2007 Ford Edge size 235/ 65/ R17, will they both tires and steel wheels fit on my 2017 Hyundai Santa Fe XL? 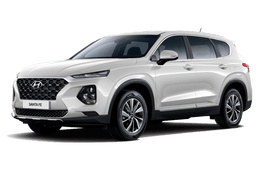 Hi i have a 2019 santa fe xl i am in the market for winter tires but having trouble fondng wheels for it my tire size is 235/60/18 do you know the wheel domension of it? Is it the same as the 2018 models? Hi,The diamension of it is 739.2mm.It is same with 2018 model. Hi,Anthony Canzio,What your current tire size? 235/55r19 is the current size. with 18” rims. I want to know if another car has the same rims that fits santa fe. If yes can you please specify thouse cars. Thank you! I have a 2009 Santa Fe and am wondering if can use a 235/65 R16 winter tire? A friend of mine has a set in great shape on the right size rims. Hi,Paul Kelly,what your current tire size?I can help you confirm that. Thanks. Currently I have 235/70 R16 all seasons on.